The proper beard or mustache can give a man an imposing form to emphasise his individuality and help him become the centre of attraction amongst his friends. A mustache is defined as hair growth on the upper lip, below the nose. However, for men who have it and the women who love it, a mustache is a statement of style. There are several different styles of mustaches to choose from. Though modern culture demands men to be clean-shaven, people who want to look unique adopt different mustache styles. However, it is can be a rather difficult process to grow a mustache that suits your face. Fu Manchu mustache is very popular around the world because of the British novel series written by Sax Rohmer in the early part of the twentieth century. Since then, this style has become famous among different characters especially negative ones or villains on television or in the movies. In the United States, there are many men who have grown a Fu Manchu mustache courtesy to the former professional wrestler, Hulk Hogan. He is credited with making the Fu Manchu mustache one of the most popular mustache designs around. Nowadays bikers, rocker stars and even road workers have accepted this style wholeheartedly and grown a Fu Manchu mustache to flaunt their individuality and self character. If you want to grow a Fu Manchu mustache the follow some basic techniques to help create the look that you have always wanted. Mustache which starts from the upper lip and hanging down to the lower part of the jaw is considered to be a Fu Manchu mustache. Release the mustache at the minimum length. Their growth is unlikely to significantly speed up, so you just have to wait. 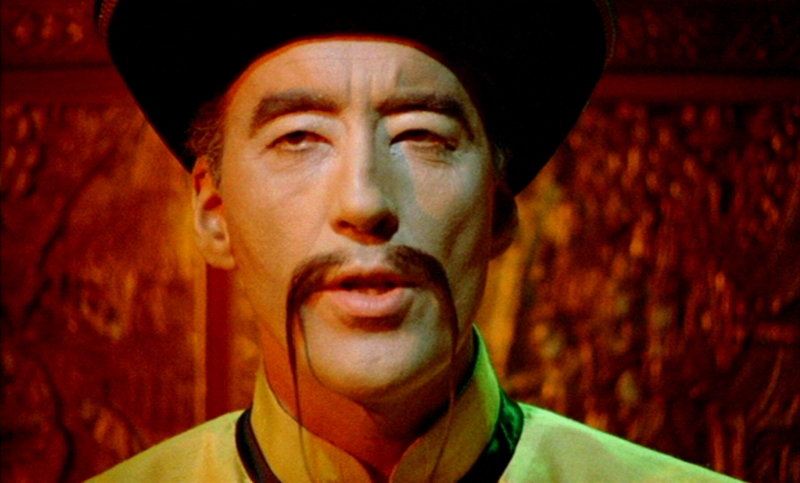 When the hair becomes dense, try making a Fu Manchu mustache. Design the ends of your mustache down to create a Fu Manchu style. Some men let their mustaches grow a few good inches below their chins in this particular style. Use a trimmer to shape up the mustache.